Visiting a goat friend last year at Peaceful Prairie Sanctuary in Deer Trail, CO. 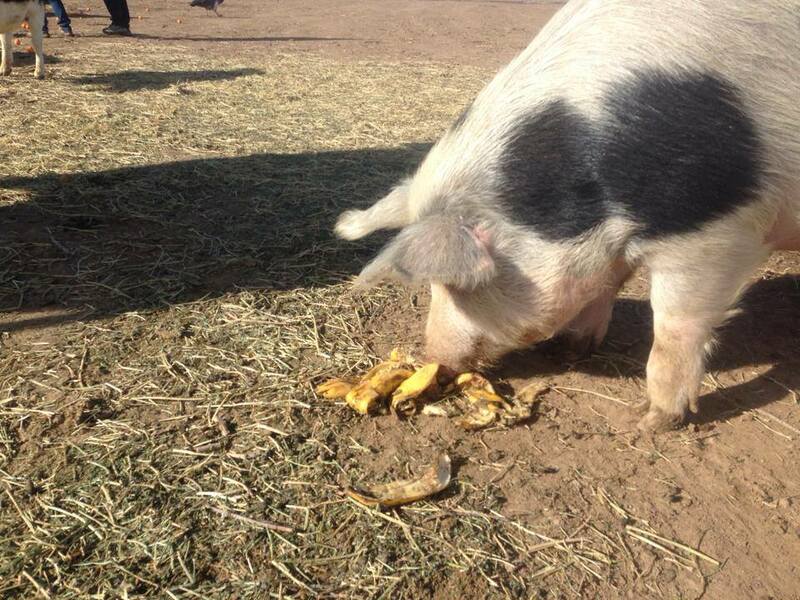 There are a lot of causes, organizations, and nonprofits out there doing amazing work for non-human animals. While many of us in the vegan/animal welfare movement know of some of the “big names” like Farm Sanctuary, Woodstock Farm Animal Sanctuary, etc., many sanctuaries doing wonderful work fly under the radar. 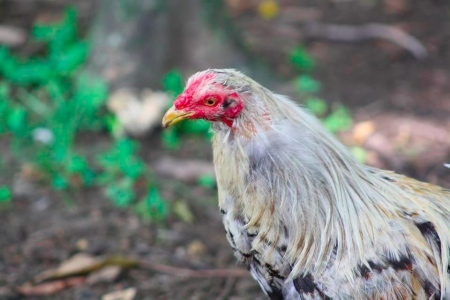 Some reasons why some sanctuaries become more famous than others include: geography (whether or not the sanctuary is centrally located or near a major city or hub), celebrity endorsements (or lack thereof), funding (not to be ironic given that we’re talking about places that take care of chickens, but it’s a “chicken and the egg” issue, as well; sometimes better known organizations get more funding, and then have the resources to invest in marketing/PR and become better known, etc. ), marketing and PR skills of the founders or staff (again, this goes back to resources), the “quality” of the visitor facilities (do they have a guest house for high-end donors to stay in, should they want to visit? Do they have personable folks available to run the tours?) and more. 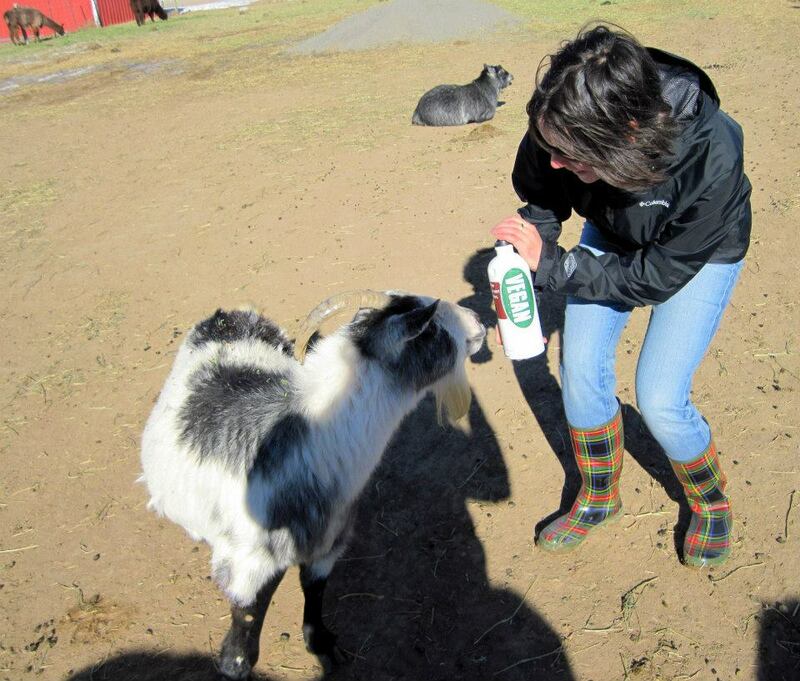 I absolutely love one particular “famous” sanctuary: Woodstock Farm Animal Sanctuary. I’m proud that 100% of the proceeds of The Queer Vegan Food Cookbook will support WFAS now, and forever (or as long as folks wish to pick up a virtual copy). I don’t believe that sanctuaries should have to “compete” for our support; I believe in an abundance in the movement where we can support multiple organizations (including supporting in non-monetary ways such as donating our volunteer time, which is wonderful, too). As a movement, we could do a better job with supporting sanctuaries who may not have the marketing muscle or visitor facilities or restaurant partnerships that other “better known” sanctuaries have. I believe there is room for us to concurrently support sanctuaries of all statuses, as long as we feel they are doing amazing work, are treating their human- and non-human animals well, and stand for the values we believe in. 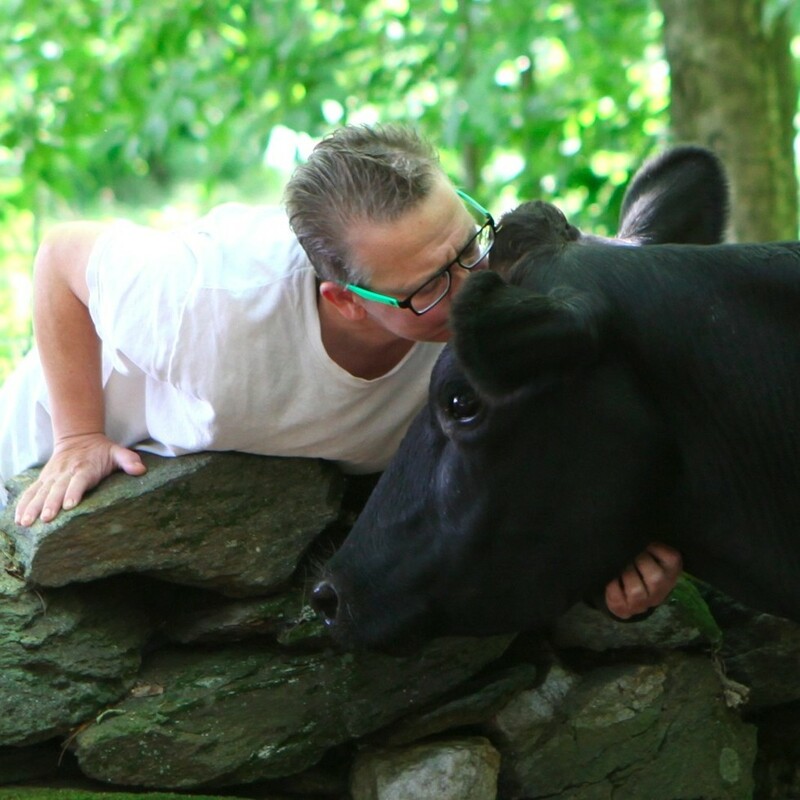 With all this in mind, I’m thrilled to be putting the spotlight on two animal sanctuaries that are dear to me: VINE in Springfield, VT and Peaceful Prairie in Deer Trail, CO.
pattrice jones with a member of VINE Sanctuary. Why I Love VINE: Since getting to know VINE, I’ve really appreciated their approach to queering vegan and animal welfare issues. Their intersectional work to support human- and non-human animals concurrently is something with which I completely agree. I love that they are queer-run, and when they have difficult decisions to make, they have them in the barn near the animals (how cool is that?). I haven’t visited yet, but I love their adorable status updates about the sanctuary and animals on VINE’s Facebook page. I’m proud to know and support them. Why I Love Peaceful Prairie: After visiting Peaceful Prairie in 2013, I fell in love. Read a bit about my experience in my blog post recounting my visit. Peaceful Prairie isn’t a “glamorous” sanctuary, but the staff work tirelessly to create a loving and peaceful rescue for non-human animals. 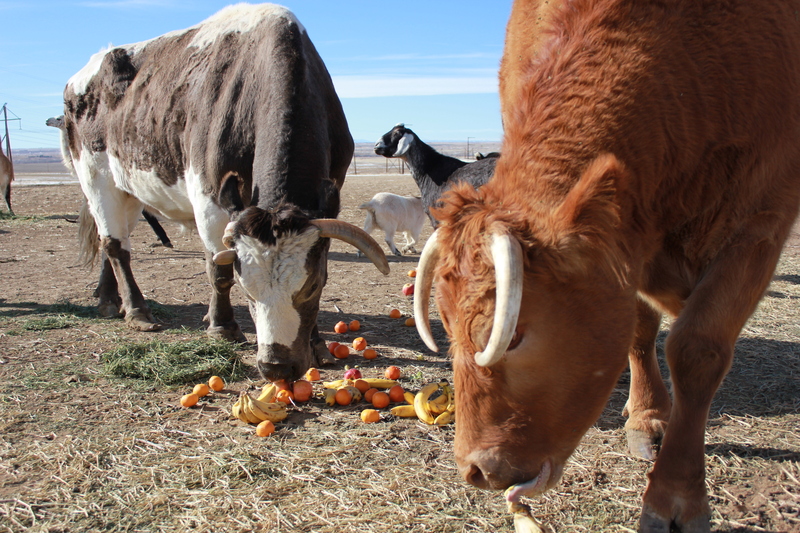 This sanctuary is also located in a very rancher-run rural part of Colorado, and the sanctuary receives threats from local farms who don’t want their animal-loving presence near their animal-killing and abusing industries. It’s a miracle that Peaceful Prairie exists, and an honor to support them. 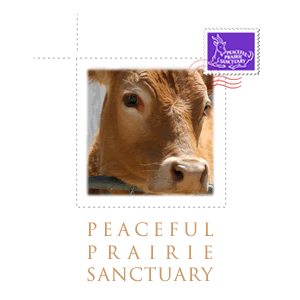 Donate to Peaceful Prairie Sanctuary.